Walk daily with the little dog, Ginny. Temperature today is minus 10C. There is a bit of snow and sidewalks are slippery.The distance is about 3 km which takes about 40 minutes. 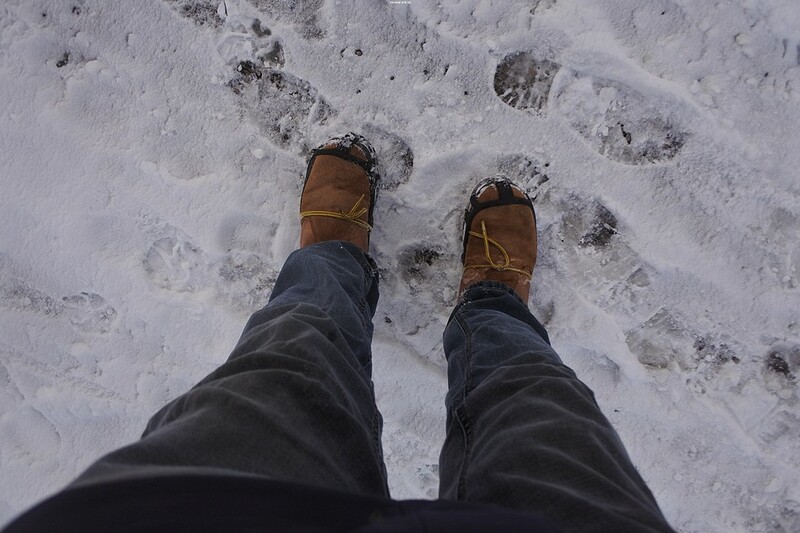 In the Winter shoes with icers (studs) are used, since there are many slippery areas. An irritant is the chemical used on the sidewalks. This chemical a salt mixture kills all the earthworms and snails in the vicinity.The pictures depict the route. This entry was posted in Uncategorized and tagged 30 December 2017 Walk, Walk. Bookmark the permalink.